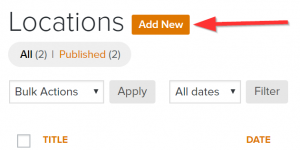 This tutorial will show you how to create a location page for AgentCarrot. This feature allows you to attach specific properties to a city or location for marketing your properties. 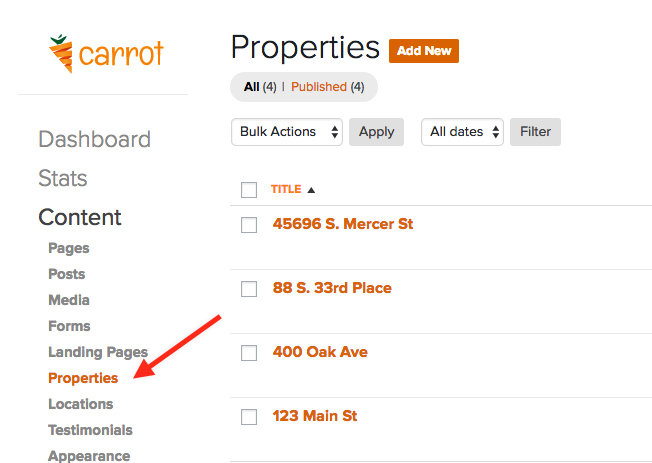 If your Carrot website is pulling double duty in markets and you want to create a page where you can talk about a city’s benefits and the properties you have listed in it, then this feature is perfect for you. 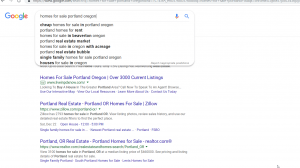 The title should be keyword you are targeting; by default it will become the ending of your URL. 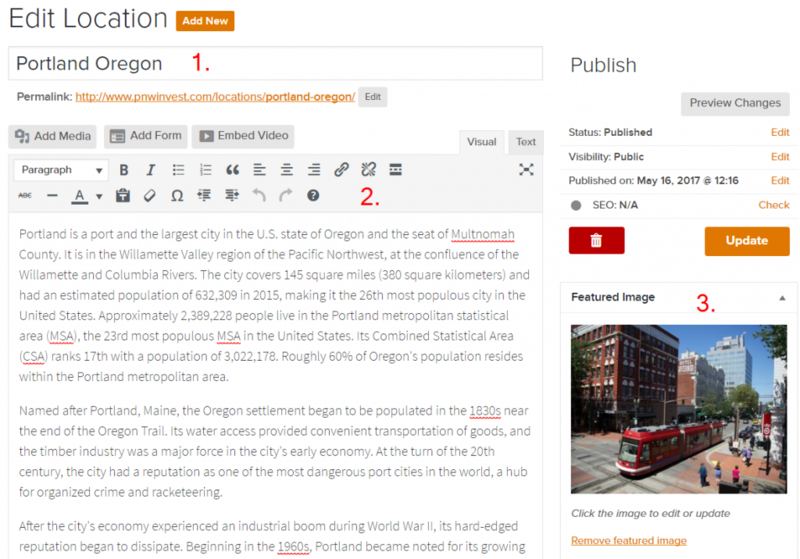 Insert a couple of paragraphs with headlines about the key features of your city. For example: History, Education, Activities, Demographics. 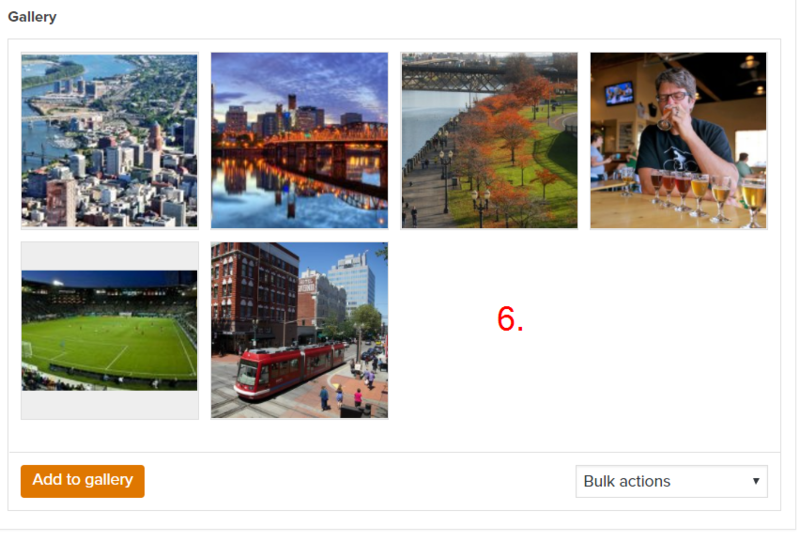 Pick a featured image (set on the right) that represents the city well. This will be shown on top of the page. Pick a form that you want leads to fill out. 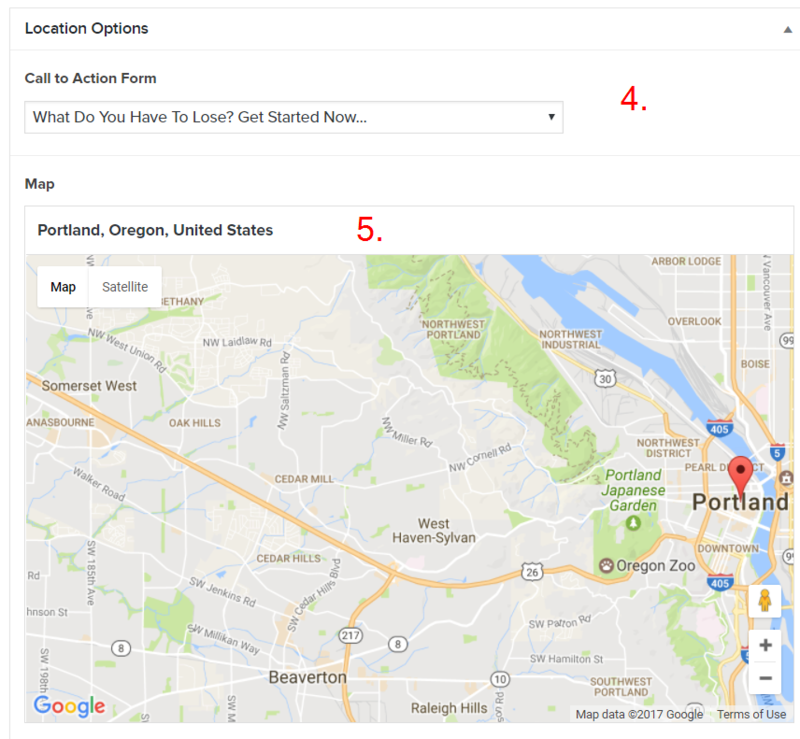 Add the location to have a Google Map appear on the page. After you have created a location you can go into your properties and tell that property to be associated with your newly created location. To do that simply visit your properties in your dashboard. 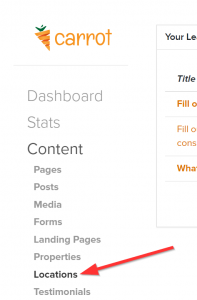 Notice that your featured properties are automatically shown at the bottom of this page. That’s it! You have successfully added your locations page. If you have any questions, please reach out to support at support@oncarrot.com or hit the live chat button between 9 – 5 PM Pacific Time and someone will get back to you asap.